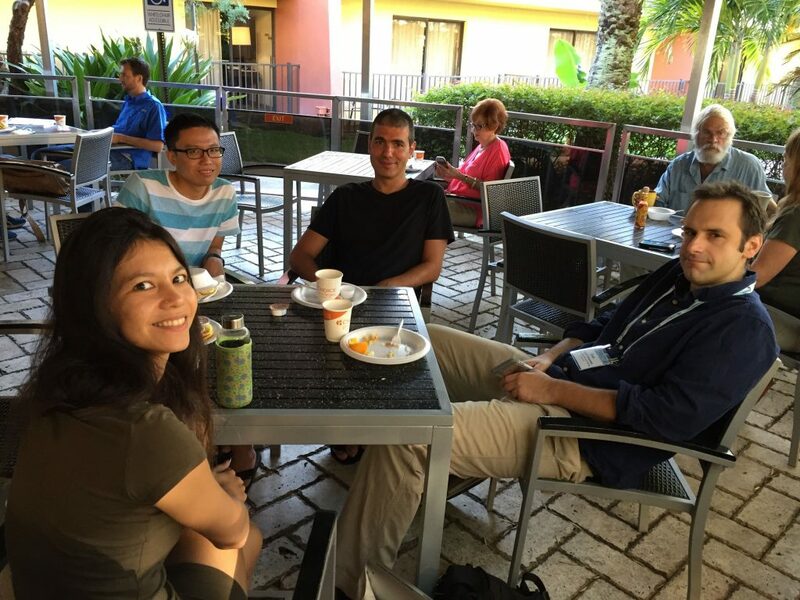 The nearly one-week long XXV International Congress of Entomology, under the theme Entomology without Borders, took place in Orlando this year from September 25-30. It brought together the largest delegation of scientists and experts in the history of the discipline with over 7000 participants and over 2000 talks, with topics ranging from biodiversity conservation to ecology and evolution to science communication. 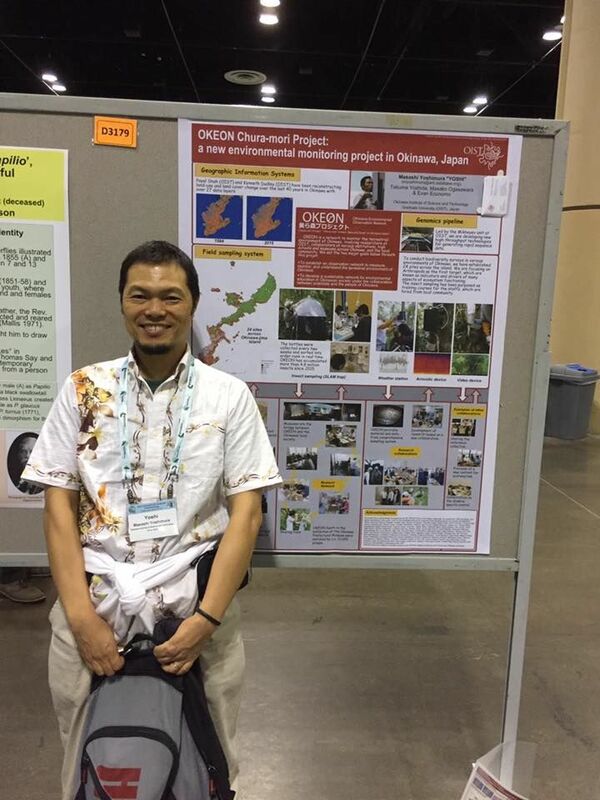 Yoshi, a staff scientist of arilab and the coordinator of the OKEON project, represented the rest of the OKEON team at the conference by presenting a poster on the project. 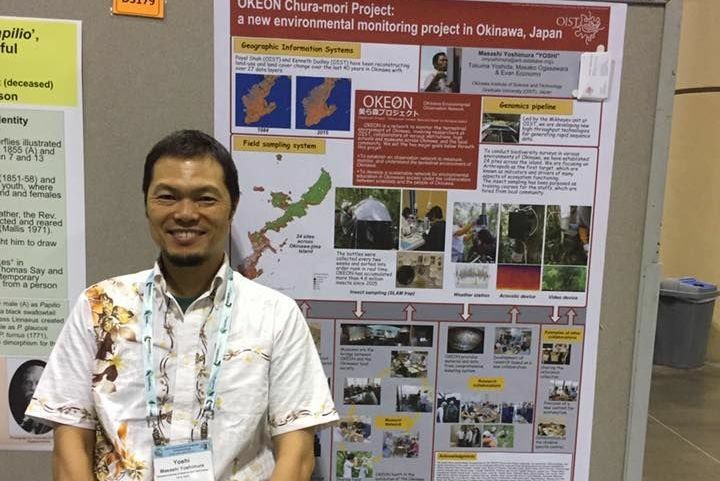 The poster, titled OKEON Chura-mori Project: A new environmental monitoring project in Okinawa, Japan , introduced the project and described its various components, including GIS, field network, genomics pipeline, as well as emphasized its collaborative nature by outlining the various partners of the project. You can see the original poster here. 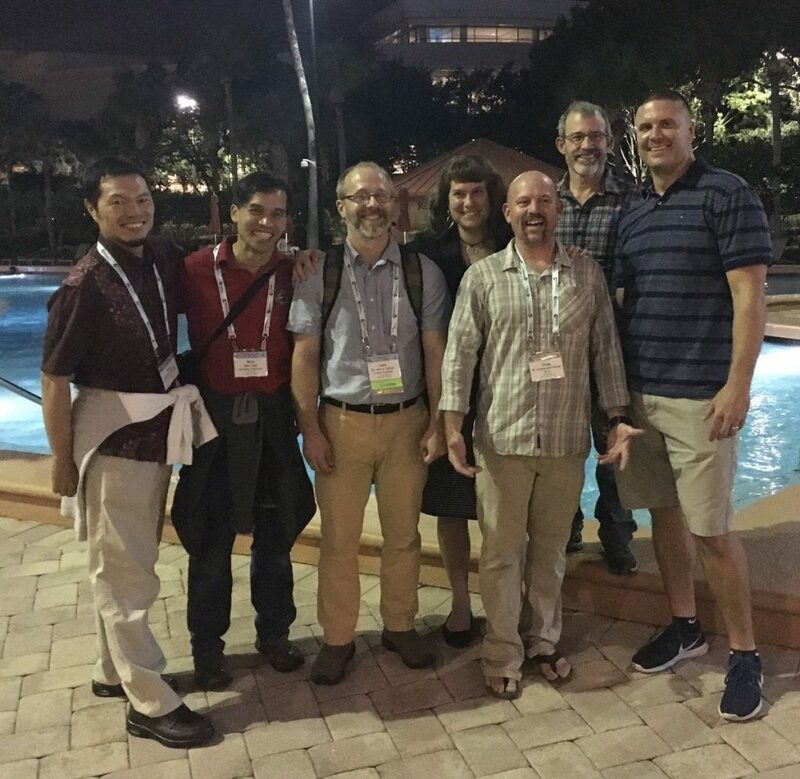 The nearly one-week long XXV International Congress of Entomology, under the theme Entomology without Borders, took place in Orlando this year from September 25-30. 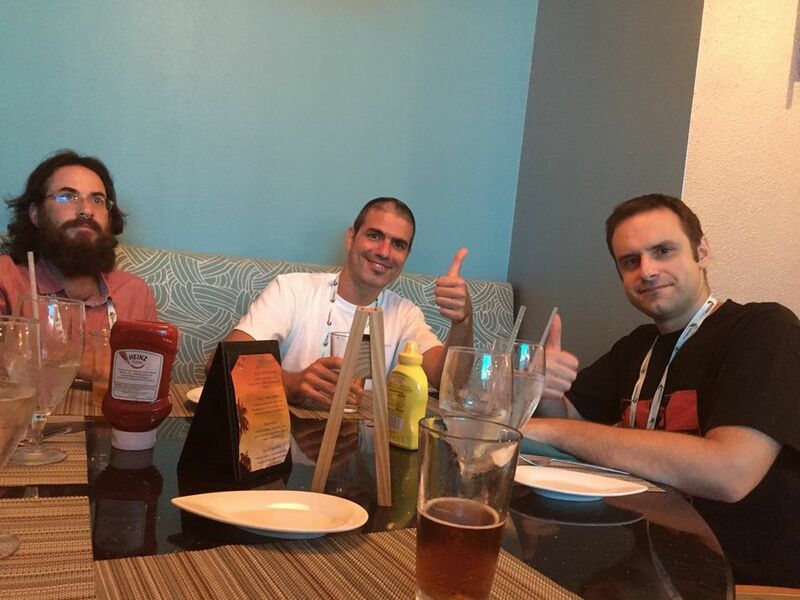 It brought together the largest delegation of scientists and experts in the history of the discipline with over 7000 participants and over 2000 talks, with topics ranging from biodiversity and conservation to ecology and evolution to medical entomology to taxonomy to IPM to science communication. Evan Economo (Talk) Reconciling global macroecological pattern and macroevolutionary processes in ant biodiversity. Paco Hita Garcia (Talk) Evolution, biogeography, and diversification of the genus Terataner. Julia Janicki (Talk) antmaps.org: An interactive client-server mapping application for visualizing the ants of the world. Cong Liu (Talk) Reorganization of taxonomic, functional, and phylogenetic ant biodiversity after conversion to rubber plantation. Eli Sarnat (Talk) Applied systematics of Pheidole: An interactive review of the world’s most invasive ant lineage. Symposia on ants, phylogenetic methods, biodiversity and taxonomy were popular among the myrmecologists in our lab. Other symposia that were very interesting included one on weevils, another on science communication, and one on the use of biological specimen data.